If we were buying the best cordless drill ourselves, we'd spend the extra money and get the Makita XPH102 18V LXT Lithium-Ion Cordless 1/2" Hammer Driver-Drill Kit. It has a lightweight, versatile design as well as an extended battery life. This 18v cordless drill can produce up to 480 inches per pound of torque and has a maximum turning speed of 1900RPM. In addition, it only weighs 3.9 pounds and has an ergonomic soft rubber grip which makes it a pleasure to work with. It will be up to the task for most jobs you throw its way. If you are a DIY or professional contractor, a cordless drill is an essential hand-held power tool you need to have in your arsenal to carry out most of the tasks around the house or on your job site. The best power drill tends to fill up that void of tightening or loosening bolts or screws and your heavy-weight drilling chores. However, there are plenty of cordless drills available in today’s market which have a wide range of features, capabilities, and pricing. After hours of extensive research, we have gathered 8 of the best cordless drills available on the market today. We also found that the most important factors were the power of the motor, quality of the battery, and the weight of the tool. This best-selling Makita hammer drill picked as the top pick of our review despite its stiff competition in the market and online stores like Amazon. It is incredibly compact and light in design – which makes it very easy to use in tight and small places. It is not the most potent power tool available, but it provides sufficient power for pretty much anything you might need to get done around the household. It is ideal for drilling into plastic, wood, metal, and all screw driving jobs. Also, this Makita 18v is uniquely designed for field use – which means protection from dust which inevitably happen on any site. Additionally, this power drill is fast charging – it takes around fifteen to thirty minutes for the battery to be fully charged. It also features a two-speed transmission, driving from as low as 600RPM to as high as 1900 RPM, hence allowing fine control over your job. Additionally, it has built-in work lights which illuminate when working in dark tight places. The Makita XPH120 is equipped with a metal clamping fixture which makes it easy-to-attach to your belt and set your hands free. Furthermore, it’s backed by a 3 year warranty against any defects from workmanship or materials. The kit comes including a Makita 18v LXT Li-ion battery, rapid optimum charge, and tool case. Powerful motor offers 300 watts out of power which ensures completing a wide range of applications. Dual-speed transmission provides 0-450 and 0-1500 RPMs for a range of fastening and drilling applications respectively. 1/2-inch chuck design delivers tight bit gripping strength. 16 position clutch for various drilling and driving applications. The drill kit includes drill/driver, two lithium-ion battery units, compact charger, and a contractor bag. The DEWALT DCD771C2 cordless drill is incredibly compact and features a lightweight design which fits into tight or enclosed areas. The electric drill is provided with a high-performance motor which offers 300 unit watts out (UWO) of power ability, hence capable of completing a broad range of drilling applications. At the same time, this tool provides dual-speed transmission: at low speed, it delivers 0-450 RPM, and at high speed, it gives 0-1500 RPM. This makes it ideal for various driving and drilling tasks. The DEWALT DCD771C2 is powered by two rechargeable 20v max lithium ion batteries. This offers you an enduring power thus allowing you to work for long hours without having to worry about fade. This tool has an ergonomic handle which avoids strain on your hands and arms, hence keeping you pain-free while you work. It also helps in maneuverability and control, which makes you feel comfortable when drilling in tight and narrow spaces. 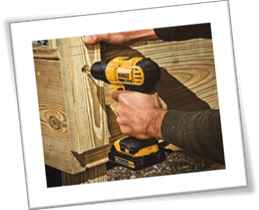 The DEWALT 20V max drill is excellent for drilling and fastening wood, plastic, and metal, and is a perfect device for framing, installing cabinets, and HVAC applications as well. Despite its small size, this tool makes an excellent machine for the professional contractors as well as for do-it-yourselfers. This tool has a comfortable handle which avoids strain on your hands and arms, hence keeping you pain-free while you work. It also helps in maneuverability and control, which makes you feel comfortable when drilling in tight and narrow spaces. The DEWALT 20V max drill is excellent for drilling and fastening wood, plastic, and metal, and is a perfect device for framing, installing cabinets, and HVAC applications as well. Despite its small size, this tool makes an excellent machine for the professional contractors as well as for do-it-yourselfers. This tool has a plastic, 1/2-inch single-sleeve keyless chuck which provides your equipment with a much tighter grasp. Hence transferring into better bit retention and offers you increased precision and accuracy on your drilling projects. The tool weighs 2.6 pounds only, and the whole package comprises of two 20v MAX compact Lithium-ion battery packs, a charger, and a sturdy bag. Compact design and incredibly lightweight. Includes 20v MAX lithium-ion drill for a wide variety of projects. Li-ion battery – always ready, and holds a charge for up to 18 months. The 11 position clutch setting prevents stripping and overdriving the screws. It provides an extra level of control. Includes over 100 hand tools and accessories. Consists of a carry case for convenient storage and easy portability. An ideal starter kit for those who don’t have any tools or not many tools. The Black & Decker BDC120VA is the best power drill you can have right now. Basically, this product is a remarkable little starter drill kit for small tasks around your house. If you don’t own a toolkit and would like to have pretty much everything you’ll require for tackling home improvement tasks, then this tooll would be a perfect option. The Black & Decker BDC120VA is an astonishing drill kit for a variety of DIY projects. It comes including a 20volt lithium drill, which delivers an extra level of control with the 11 position clutch settings which prevent stripping and overdriving your screws. It has a small size and lightweight design, which means that you do not need to be a DIY enthusiast to use it. Moreover, it is quite easy to use in tight and narrow places than a sizeable corded drill. The battery is always ready and is capable of holding its charge for up to 18 months. Furthermore, it comes with a handy charger for fast charging of the battery. The exceptional thing about Black & Decker batteries is their capability to be used with other power tools in their range. The motor provides 0-750 RPM within seconds. We cannot say it is the most potent electric drill out there, but it gives more than enough power for standard residential projects. This Black and Decker drill has 300 inches per pound of maximum torque, ideal for screwing and light drilling tasks. The kit comes included with over 100 hand tools and accessories. These include; pliers, wrench, hammer, screwdrivers, level, utility knife, and various drill bits. Also, this project set comes with a sturdy case to keep all the tools for easy portability and storage. This is an inexpensive cordless drill, made by a reputed manufacturer, but still comes backed by a generous two-year warranty. Bosch has produced a new 18volt, DDB181, which they claim is the smallest and lightest 1/2-inches drill/driver available on the market. The Bosch DDB181-02 is the most compact drill according to Bosch and they claim it is smaller than all of their competitors’ 12volt drills. This Bosch powertool measures just 7.1-inches long and weighs only 3 pounds. But just because this tool is compact and has a small size, it does not mean that it is not overpowering. Just like most cordless drills, the Bosch DDB181 features a variable speed trigger with a safety auto-lock. Additionally, this tool has dual-speed transmission; with the low gear providing 0-400 RPM for high-power fastening, while the high gear is delivering 0-1300RPM for fast drilling. This Bosch cordless drill also features 20+1 clutch positions, which allows you to dial in the amount of torque you want to be applied – hence ensuring you do a precision work. The Bosch DDB181 drill delivers up to 350 inches per pound of optimized torque. This tool can handle drilling in plastic, wood, and metal at a decent speed. Its maximum capacity in metal is 3/8-inches and 1-inch in wood. Also, it has LED lamps which makes drilling in hard-to-reach spaces much more comfortable. You get a drill/driver with two 1.5Ah Slimpack batteries, a charger, and a case, all for a very affordable prize. Additionally, it offers a one-year warranty. If you’re looking for a compact drill driver kit with an excellent balance and great feel, and won’t break the bank, then the Bosch DDB181 can be the best option for you. As far as cordless drills are concerned, the PORTER-CABLE PCCK604L2 is a real beast. If you’re looking for a combo kit comprising both a driver kit and an impact driver, then this cordless drill driver can be a great deal for you. This combo toolkit comes comprising of both 1/4-inch cordless impact driver (PCC641) and 1/2-inch cordless driver (PCC601) at an affordable price. The drill has a high-performance brushless motor which provides 283 units watts out (UWO). You can switch between the two settings for various driving and drilling applications. At low gear, it delivers 0-350 RPM enabling you to use the machine as a screwdriver, whereas at high settings, it reaches up to 1500 RPM, which allows you to drill holes swiftly. Additionally, the cordless impact driver delivers up to 1450 inches per pound of peak torque. It also has 2 speed settings (0-2800RPM and 0-3100 BPM). This drill runs on a 20volt lithium-ion battery which delivers enough power to drill holes and drive screws swiftly and efficiently. 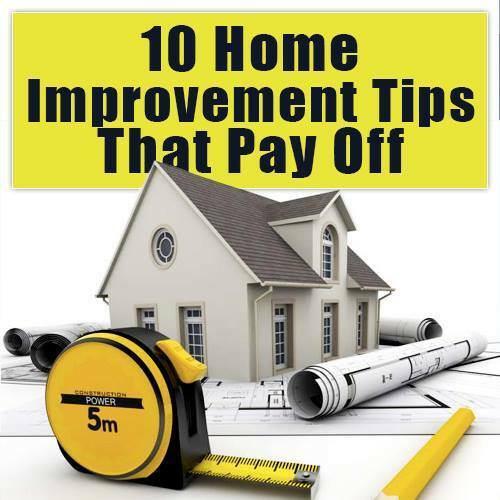 These tools are perfect for the do-it-yourselfer or a professional contractor who wants to do occasional repairs and tasks around the house. Additionally, the pack also comes with a spare battery which ensures no interference while drilling, hence maximizing productivity. These Porter Cable drills feature a sturdy construction, with the chuck part, also made up of metal to maximize its durability. This cordless tool features a keyless chuck design which allows you to fasten bits by hand and don’t have to worry about misplacing the chuck key. The LED light brightens the workspace in front of the PCCK604L2 drill, allowing you to see what you are drilling into in low-light conditions. The slim handle makes the job more comfortable. You will surely appreciate the minimized user fatigue which this tool offers over long hours of use. The belt loop provided helps keep the bits and attachments. This hammer drill comes backed by a three-year warranty on the drill and two-year warranty on the batteries. The Ryobi P208 One+ lithium-ion kit is an excellent addition to any toolbox. This compact hammer drill from Ryobi is part of the Ryobi 18Volt One+ system of over 50 outstanding tools, which introduces the next generation in lithium-ion performance. This cordless drill is powered by new and improved compact lithium-ion batteries. The most impressive part is that the battery of the Ryobi P208 can also be used with other Ryobi One+ products – which makes it very convenient for those who have a few Ryobi tools. This cordless drill is compact and powerful enough to tackle any task on your project list. Due to its smaller size, you can quickly drill even in hard-to-reach places. Additionally, this tool is incredibly lightweight, weighing 3 pounds only, which makes it capable to work for long hours without being fatigued. The Ryobi drill has a variable speed control and double speed transmission: at low gear, it delivers 0-400 RPM for fast driving and 0-1600 RPM at high gear for fast drilling. Despite its smaller size, this drill provides 350 in.lbs of peak torque. Its 24 position clutch and two-speed gearbox make it ideal for various driving and drilling applications. Also, it features a 1/2-inch keyless ratcheting chuck with automatic spindle lock for easy replacement of bits. This tool also has an exclusive magnetic tray (MagTray), which is perfect for holding bits and screws to increase your productivity at your job site. This tool is backed by a three-year limited warranty. Whether you want a light-duty drill or something which can handle more onerous tasks, then Milwaukee has got something for you. This astounding piece of equipment is one of the most popular and highest-quality cordless drills available on the market and comes at an incredibly affordable price. Under the no-load condition, this Milwaukee cordless drill is estimated to be about 35 percent faster than many other drills in its class. It can reach 0-400 RPM speed at low gear and can deliver 0-1500 RPM within seconds, thanks to its dual-speed transmission. The Milwaukee 2407-22 can deliver 275 inches per pound of maximum torque, which makes it ideal for heavy-duty projects. The 18+1 clutch options allow you to dial in just the amount of power you want. You can use the all-metal ratcheting chuck to hold your bits securely, which makes it easy to change them. Additionally, the chuck is heavily built and can hold up to 3/8-inches shank bits without a problem. The battery fuel gauge lets you know the status of your battery to avoid interruptions. The handle has a functional design to prevent you from getting blisters after a long day of work. The lights illuminate anything you want to drill, even when in cramped, dark spots. This cordless drill from Metabo is compact in design and can comfortably fit in tight and confined spaces while working. The degree of versatility of this drill is outstanding and can perform a range of drilling and driving applications. This tool comes with a dual-speed transmission; at low gear, it can deliver 0-450 RPM and can provide 0-1650 RPM maximum speed under a no-load condition. Despite its smaller size, this offers you plenty of torque options; 300 inch-pounds and 531 inch-pounds at low and higher gear respectively. It is great for plowing through just about anything. The Metabo 18V LT runs on an ultra-m compact 2.0Ah battery which offers extended runtimes. The battery charger provided has a built-in fan for cooling the battery as it charges. This helps shorten the charging time by 30% and lengthen the battery life. Additionally, the Electronic Single Cell Protection helps monitor the temperature and overall power load, hence preventing overload and overheating of the device. The grip offers greater comfort when maneuvering into tight spaces. The onboard battery gauge lets you know the charge status of your battery to avoid any interruptions while working. This cordless power tool is backed by a three-year limited guarantee. We have finally come to the end of our best cordless drill review. As you have seen, these cordless drills are relatively affordable and are powerful enough to get any job done fast and efficiently. Any of these cordless drills from the best drill brands around make an excellent addition to your tool collection, whether you’re a professional contractor or someone who loves to do lots of household tasks. All of these cordless drills are of better quality and have many amazing features which make them incredibly easy to use and long-lasting. When you look for the best drill/driver that meets your needs, you can be assured that any of these eight models will be just perfect. We hope you found the above drill reviews useful in assisting you to reach an informed decision regarding the purchase of your next cordless drill and if you want to read up more on these tools make sure to also read our complete cordless drill buying guide. Thanks for reading our cordless drill comparison post and don't forget share your experiences in the comments below.